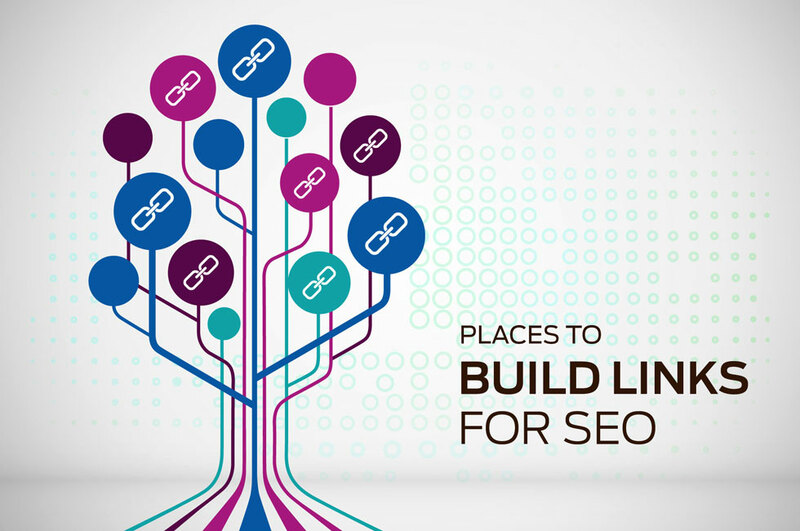 Link building is one of the most crucial yet most misunderstood aspects of SEO today. I say most crucial because we know that links pointing to your website are seen as votes to your website. The search engines count this as a big deal. If we had to put the technical aspects of link equity and link juice that gets passed through a link from one website to another, there also has to be a user element to this. Back in the day we could easily buy loads of links regardless of where they come from, point them to your home page or product page and you could get ranked pretty quickly. Although there are always going to be SEO’s out there still using these kinds of techniques today, they don’t really work. I am conducting a case study at the moment which I will share with you when it is complete where I basically build and compare to websites. One site is strictly white hat SEO and best practice, and the other site not so much. The other site in fact, I let loose and experiment with some black hat SEO to see what the effects are. I will keep you posted on this! Let me start of by saying there are loads of amazing industry leaders who have a wealth of knowledge on not only advanced link building but SEO and content marketing. There is so much info that you need to be careful of what you read and listen to as SEO has become such a huge deal. Personally, I follow 2 to 3 guys and few blogs to stay inspired and as up to date as possible. The SEO landscape has tremendously evolved over the past 5 years. Back then keyword stuffing would help in ranking. Now it’s frowned upon by Google. Low-quality spun articles were acceptable. Now they will get your website penalized. Spammy backlinks from article directories and forum comments would elevate your rankings. Now quality backlinks from authoritative sources only increase your website’s authority. Backlinks still play a major role in Google’s search rankings. It’s difficult for a particular website page to rank without contextually relevant back links pointing to the page or the domain. The various tactics Neil mentions above were definitely powerful back in the day but won’t be as effective these days and are risky. I like to refer to these as ‘old SEO’ and ‘new SEO’. Old SEO allowed for any technique were over optimising your site in any way could gain you rankings. It is essential to note that some SEO’s out there still do this and I know one or two personally that produce results. I don’t know how long they will have these results though. Link building is no longer quantity over quality. Reaching out to a mate who has a mate and asking them to exchange links can work I guess, but only if the content is relevant and quality. I have requested a link exchange with a good mate of mine before because his website is related to mine and it would make sense for me to link to one of his product pages at least and vice versa. Get involved and write testimonials. If you think about it, any company needs to show some kind of testimonial or client review. Naturally this promotes trust and a good user experience right? Start by creating a list of any suppliers you have used in the past or even a mate who you know provides a great service. Reach out them from your personal address and add a personal note of how you appreciated their service so much you would like to write a client testimonial for them. Be sure to tell them that they are welcome to put this testimonial on their website or even their homepage which will be better. You will be surprised at how well this works. Remember one thing, to prove to their audience that you are a real person, it is in their best interest to put a link to your website or even mention your company. Do not go balls to the wall and demand a backlink right away, very often companies may include a link to your site without you even having to ask them, once again to prove to their audience that you are a real person and legit company speaking the truth about their service. To the technical SEO’s out there, do not mention links up front or ask them if it will be a follow or no follow link. I have done this before and not only will most of them have no idea what you are talking about but any smart tech guy or webmaster will know exactly what you are trying to do. IF THIS GUY IS SAYING THIS IS A POWERFUL TOOL – YOU SHOULD LISTEN. We all know how powerful blogging is and as much as guest blogging can work, this is a more effective and personal way of gaining links from great bloggers out there. If you have any product, unique tool, service offering or good information, reach out to a handful of the best bloggers in this niche that may be interested on your product and offer it to them for free. That’s right I said free. There is too much taking and not enough giving in this industry. Let’s say you offer an ice cream maker that is the best ice cream machine around that can make a whole bunch of different flavours in one go and you know this is a niche product. You would search online for this exact phrase or related phrases around this topic. I was searching for (some stuff) today when I cam across your site (site name). Awesome stuff! Actually, I just launched a new service which … . I usually charge $xyz, but I’d be more than happy to send it over to you. All I’d ask is that you’d consider mentioning it on your blog or writing a review. There is a reason I have left this point for third. This is a good strategy and can sometimes work although I have not had the best results from the tactics I will show you below. Now please hear me – gaining links by fixing broken pages, identifying unlinked mentions as well as doing image searches can and do work. However this can be a long process. There are only two points within this tool that I would like to talk about. You will be given 3 options to use: 1 – Reclaim links, 2 – Unlinked mentions, 3 – Link intersect. Here we need to isolate the broken links and either fix them, or 301 redirect them to the new version or most relevant version of that page. If the particular category or section of the website is no longer active or relevant, I would 301 redirect to the home page. NB: Do not use the 302 temporary redirect here unless you have a specific reason. I never use 302’s as I always want to pass on the link equity through my site. For example, one of the broken pages below is a blog post. It would then make sense to send the user to the main blog category landing page where they will have other relevant articles to choose from. This must be done with a 301 permanent redirect. Type in your brand name or product name and Moz will show you any mention around the web where you have been mentioned but there is no link to your website. The idea here is that you can contact the website or webmaster from the site that has mentioned you and ask them for a link. Here’s an example of how I have done this before. Trust you are doing well. I have been spending time on the www.example.com website and I noticed that you have mentioned brand name or product name. I was wondering that since you have mentioned us already, if you wouldn’t mind adding a hyper link to our website from this mention? Having high quality and relevant links to you website are hugely important and essentially one of the main factors that will get your website ranking. Be patient as this is a long process. I have experimented in the past with many different ways of link building and am still learning something about this topic every single day. Whichever approach you take, understand that it is a process and will not happen overnight. Be sure to go after the best possible links, think quality over quantity (although the right kind of quantity may also work). Be the best at what you do in this area and do not compromise on anything. Also, never forget how important it is to have a Responsive and Mobile Friendly Website! Did you enjoy this article? Share your feedback with me I’d love to hear from you.